Cairo is a vibrant, exhilarating, exotic and fascinating city. Home to the best Pharaonic, Coptic and Islamic sights in Egypt, this city is where you never know what incredible, half-forgotten monument you might stumble across while wandering around. Enjoy the Nile view from your hotel room balcony, visit the capital's medieval markets by Khan El-Khalili, or walk down the Nile promenade. There are also plenty of cinemas, theatres and modern malls. Go for an opera or enjoy oriental music dance shows. Good for short breaks and long stays; you’ll get to see the Giza Pyramids, thousands of ancient artifacts in the Egyptian Museum of Antiquities and much more. Moreover, Cairo is for everyone, there are plenty of accommodations to choose from. Pick a charming boutique hotel or indulge in utter luxury in one of our luxurious establishments. These usually house professional Spas and wellness centres where you’ll be treated like royalty. There are many 5 star hotels in Cairo, which all offer stunning views over amazing landmarks such as the majestic Nile, the Pyramids, beautiful parks and gardens, and upscale clubs and compounds. One of the world’s most important collections of ancient artifacts (more than 120,000 items on display) featuring the famous Tutankhamun collection with its beautiful gold death mask and sarcophagus and the royal Mummy room, which houses an additional eleven Pharaonic dignitaries. 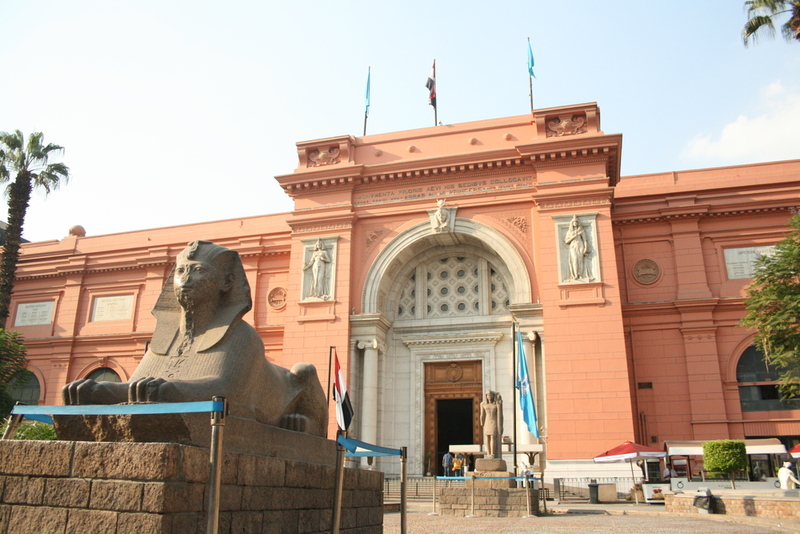 The Egyptian Museum takes pride of place in Downtown Cairo, on the north side of Tahrir Square. The Great Pyramid of Giza is the oldest and largest of the three pyramids in the Giza Necropolis bordering what is now El Giza, Egypt. It is the oldest of the Seven Wonders of the Ancient World, and the only one to remain largely intact. Based on a mark in an interior chamber naming the work gang and a reference to fourth dynasty Egyptian Pharaoh Khufu, Egyptologists believe that the pyramid was built as a tomb over a 10 to 20-year period concluding around 2560 BC. Saqqara is one section of the great necropolis of Memphis, the Old Kingdom capital and the kings of the first dynasty as well as that of the 2nd Dynasty. are mostly buried in this section of the Memphis necropolis. It has been of constant interest to Egyptologists. Three major discoveries have recently been made at Sakkara, including a prime ministers tomb, a queens pyramid, and the tomb of the son of a dynasty-founding king. Each discovery has a fascinating story, with many adventures for the archaeologists as they revealed the secrets of the past.